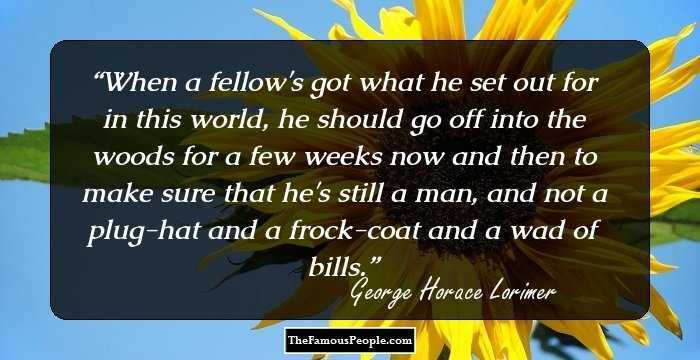 A collection of quotes and thoughts by George Horace Lorimer on procrastination, money, journalism, business, tact, youth, humor, writing and friendship. 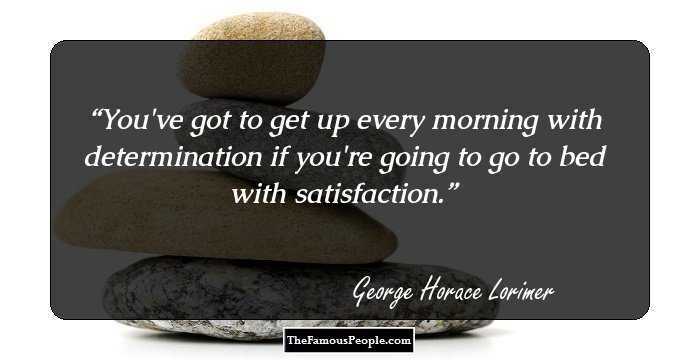 One of the most distinguished names in the field of American journalism, George Horace Lorimer made his name as the editor of ‘The Saturday Evening Post’. 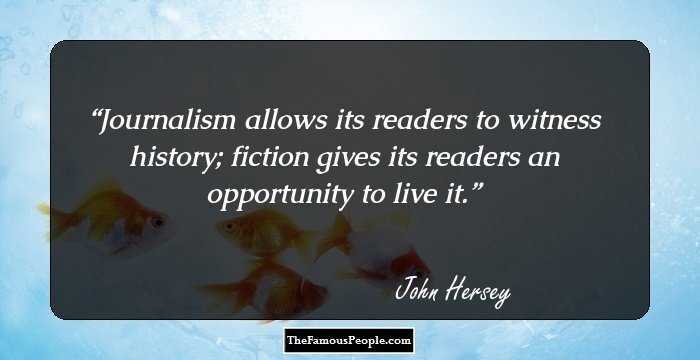 During his tenure as an editor, there was an exponential rise in the circulation of the Post from few thousand to over a million. Lorimer is also remembered as a successful author of three books namely ‘Letters from a Self-Made Merchant to His Son’, ‘Old Gorgon Graham’ and ‘The False Gods’. Many owe their success and prowess in writing due to the opportunities provided by Lorimer. The prime example of that would be Jack London. 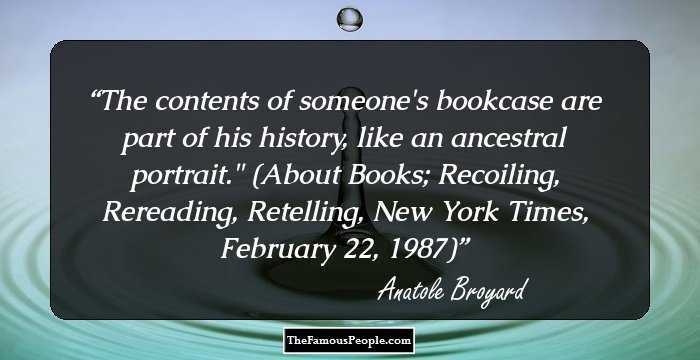 Let us go through some of the most popular quotes from this reputed editor and author, highlighting his thoughts and the importance of knowledge, wisdom, self-righteousness, determination, aspiration and motivation in life. 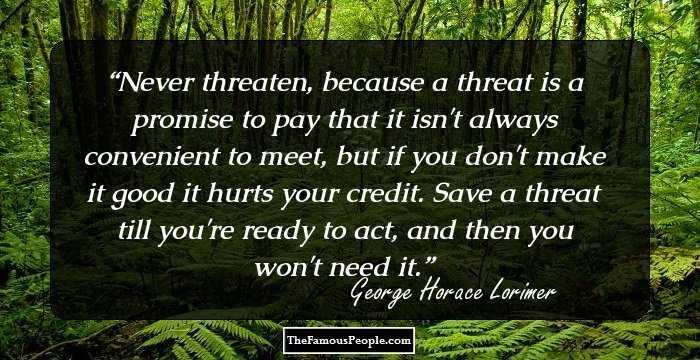 We bring to you a treasure trove of quotations and thoughts by George Horace Lorimer which have been scanned from the vast sea of his work. 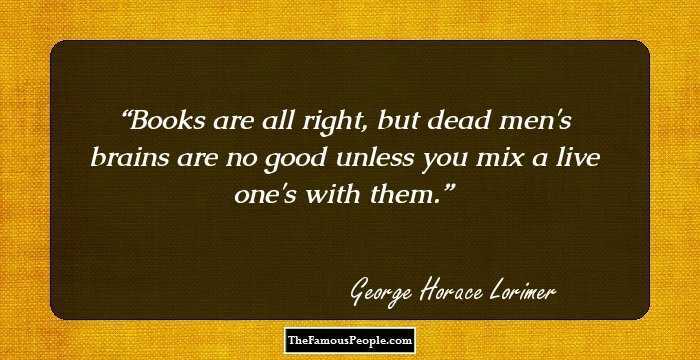 Books are all right, but dead men's brains are no good unless you mix a live one's with them. 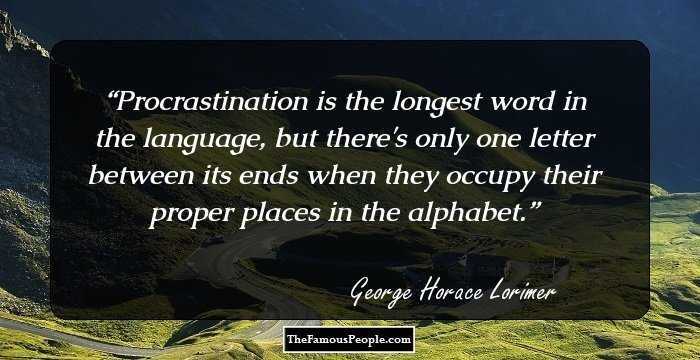 Procrastination is the longest word in the language, but there's only one letter between its ends when they occupy their proper places in the alphabet. There are two unpardonable sins in this world -- success and failure. You've got to preach short sermons to catch sinners. A business man's conversation should be regulated by fewer and simpler rules than any other function of the human animal. They are: Have something to say. Say it. Stop talking. 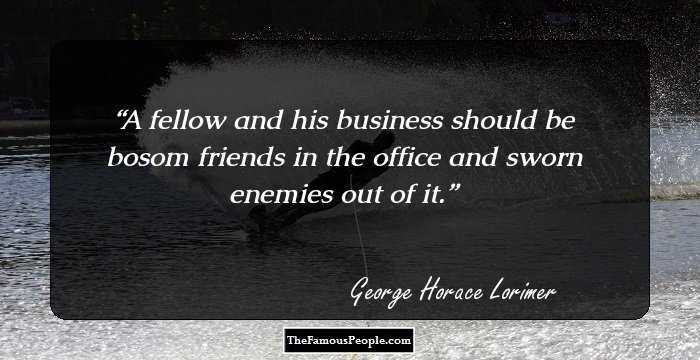 I want to say right here that the easiest way in the world to make enemies is to hire friends. Never ask a man what he knows, but what he can do. If there’s one piece of knowledge that is of less use to a fellow than knowing when he’s beat, it’s knowing when he’s done just enough work to keep from being fired. As the Christian's sorrows multiply, his patience grows, until, with sweet, unruffled quiet, he can confront the ills of life, and, though inwardly wincing, can calmly pursue his way to the restful grave, while his old, harsh voice is softly cadenced into sweetest melody, like the faint notes of an angel's whispered song. As patience deepens, charity and sympathy increase. The solution to our energy needs must go through a show of respect for nature, not, once again, a policy that does violence to our hills. Some men are like oak leaves -- they don't know when they're dead, but still hang right on; and there are others who let go before anything has really touched them. The world is full of bright men who know all the right things to say and who say them in the wrong place. In all your dealings, remember that today is your opportunity; tomorrow some other fellow's. 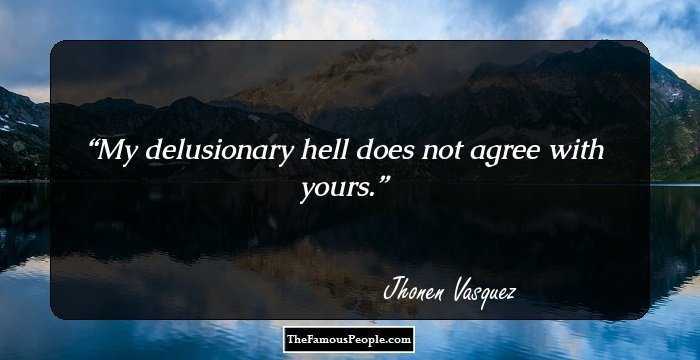 Theres no easier way to cure foolishness than to give a man leave to be foolish. And the only way to show a fellow that hes chosen the wrong business is to let him try it. 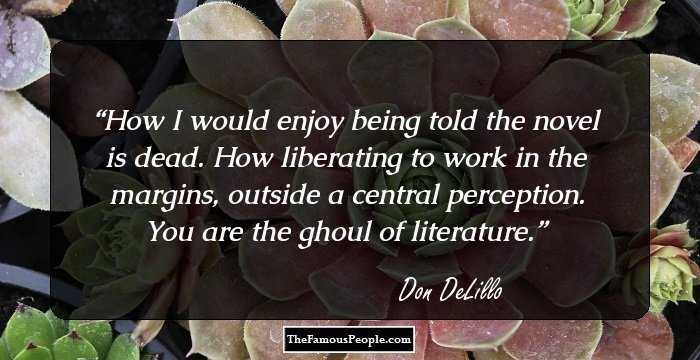 I remember reading once that some fellows use language to conceal thought; but it's been my experience that a good many more use it instead of thought. The more I deal in it, the surer I am that human nature is all of the same critter, but that there's a heap of choice in the cuts. A man's got to keep company a long time, and come early and stay late and sit close, before he can get a girl or a job worth having. But some people, and especially very young people, don’t think anything’s worth believing unless it’s hard to believe. There’s no easier way to cure foolishness than to give a man leave to be foolish. And the only way to show a fellow that he’s chosen the wrong business is to let him try it. Je dobr� mať peniaze a veci, ktor� si za peniaze k�pite. Dobr� je však občas skontrolovať, či ste nestratili veci, ktor� sa za peniaze k�piť nedaj�. When you make a mistake, don't make a second one -- keeping it to yourself. Own up. The time to sort out rotten eggs is at the nest. The deeper you hide them in the case the longer they stay in circulation, and the worse impression they make when they finally come to the breakfast table. Believe me, it is no time for words when the wounds are fresh and bleeding; no time for homilies when the lightning's shaft has smitten, and the man lies stunned and stricken. Then let the comforter be silent; let him sustain by his presence, not by his preaching; by his sympathetic silence, not by his speech. 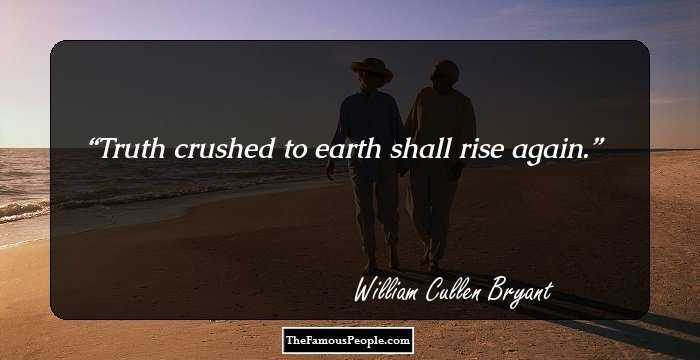 After forty years of close acquaintance with it, I've found that work is kind to its friends and harsh to its enemies. It pays the fellow who dislikes it his exact wages, and they're generally pretty small; but it gives the man who shines up to it all the money he wants and throws in a heap of fun and satisfaction for good measure.